It's April 1st tomorrow, and have you prepared anything for the occasion? Share with your kids the joy of April 1st with some of these fun pranks. 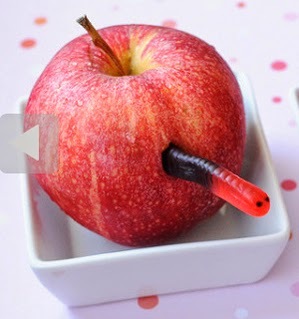 Put an gummy worm in an apple in your child's lunch or in one of the apples out on the table and you're sure to get a giggly reaction. Poke tiny holes in a plastic water bottle, leave it where one of your little ones will grab it and see what happens when the water starts to squirt out! Put a small piece over the remote sensor and watch your kids try to change the channel. Replace your child's pillow with balloons and watch them giggle at nap time! Put a bit of toilet paper or paper towel in the toe of your child's shoes. When he or she tries to put them on, you can say: "You're feet must have grown over night!" 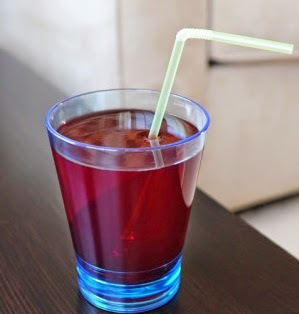 Make jell-o in a glass with a straw and tell your kids their juice is on the table. Imagine their confusion when nothing comes out of the glass. Stick googly eyes on everything in the fridge. So much fun! Then have them help you remove the eyes by playing who can collect the most eyes wins. When your child goes to sleep on March 31, turn as many things as possible int he house upside down. Their reaction to a topsy turvy house on April 1 will be great!